If you've given up on sourcing and selling used books, don't: Essentially, you've been lied to (or you got the wrong information). Just read the very entertaining and informative 'squeeze page' from Peter Valley (the author whose book I'm reviewing in the video). Many of your competing booksellers have quit because 'all the sources have dried up' (they're wrong - I believe the opposite is true). There are (still) many more books to sell than there are sellers, that's the truth. The profit margins, ease of selling, and low % of customer returns make selling books via FBA extremely lucrative. Watch my first video below (buy nothing, you'll still learn something new). Or just jump right to the training bundle I'm recommending. * Peter Valley (author of Book Sourcing Secrets) offers a 60-day, no questions asked guarantee for his system. If you buy his e-book via my link (it’s the same price) I make a small commission from Peter BUT I will personally add another 305 days to that guarantee. So: if you decide the book is not for you (and the 60 days have passed), forward your email receipt to me and I will refund you (100%) out of my own pocket. It’s the same ‘extra’ guarantee I give to several of the excellent guides and services that I endorse). 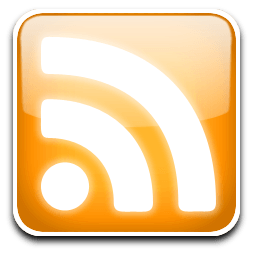 I just started to read your blog and so far it’s fantastic! Because of you, I might actually buy the Proven Amazon Course, but before I buy it though, I wanted to try my hands on book selling in order to get my feet wet. So I know you posted this review in 2014, but do you think it will work today in April, 2018? Though I figured out how to get that info on Collectible books on my own after you sent me that link, I’m finding it tricky to research other specifics. For instance, I’ve read from blogs that you can’t bundle media, but do you know if we’re able to sell all volumes at once on a specific title? I couldnt find the answer on Amazon. I bought all 3 volumes of a ‘Burham’s Celestial Handbook’, but I guess I’ll be listing them all separate. Even the sinple keywoards ‘Selling Books’ and ‘Selling Media’ produces nothing on Amazon. I’ve been resorting to bouncing things off the Seller Forums to learn about and avoid all the Amazon traps and pitfalls. THANK YOU for valuable guidance you provide the reselling community!! Jordan, hello. I just recently bought Skip McGrath’s book on selling books online. I’m very interested in selling used books, but I’m primarily interested in eBay instead of Amazon. How would that make a difference? Thanks. You’ll have a lot more success/make much more money selling books on Amazon. Unless you’re only dealing with collectible books (meaning rare books that sell for $25+), then ebay may be a better choice. Wondering if BOOK SOURCING SECRETS by Peter valley will ever be sold in print . I would definitely love to purchase a copy . I’ve been selling books on FBA for few months following your advice. So far so good! Thanks! I know it is highly profitable to sell books online, however, is there an advantage selling other products on Amazon FBA, if any, over selling books? By other products I mean for e.g. toys & games, babies items, etc, etc. Hopefully, you’ll be happy to shed a light! Thank you so much, Jordan and have a wonderful day! Been trying to refrain from buying ebooks and courses since I’m shifting from being an Affiliate Marketer to a Seller. Somehow you have to find those golden nuggets or something to help you further along (no fluff). However, I think this is one of those that I think will be beneficial. I’ve only sold maybe 1 book and I’ve been using FBA for over a year. Just as I liked your recommendation on Jessica’s grocery book and it paid for itself. Thanks Jordan, I appreciate it. 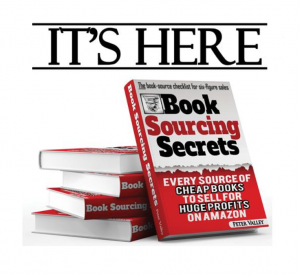 BookSourcing Secrets has strategies not covered in Frank Florence‘s book. But if you already have Frank Florence’s book, you already have more than enough info on book sourcing. Great Job on videos Jordan, being a new seller here in 2014 I started in Books and feel it’s a great place to start and keep Arbitraging in for the future… I say the Books are my “Slow Quarters” and I use the Profits to Fund my diversifying in Groceries, Personal care, Home Decor ( or my “fast Dimes”) Books are very easy to find, new. Sellers who also need some quick success will see Books as a great place to begin. Previous post: The ‘new’ Woot.com: Can Amazon and eBay resellers profit?